Since 2004, Quest Alliance continues to work closely with diverse partners to promote the effective and responsible use of technology to scale Education, Employability and Entrepreneurship programs. 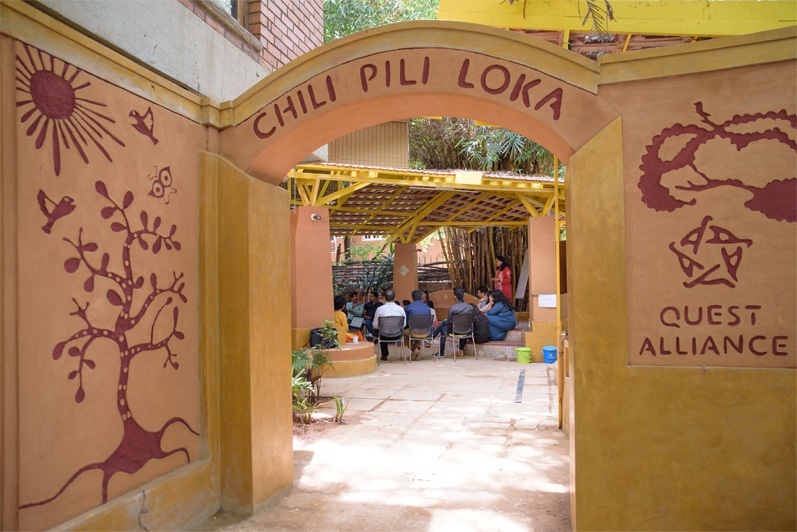 Its name taken from the Kannada term for ‘a place where birds of all kinds gather’, ChiliPili Loka is an open learning space that serves as a place for discussions, workshops, performances and a coming together of ideas! 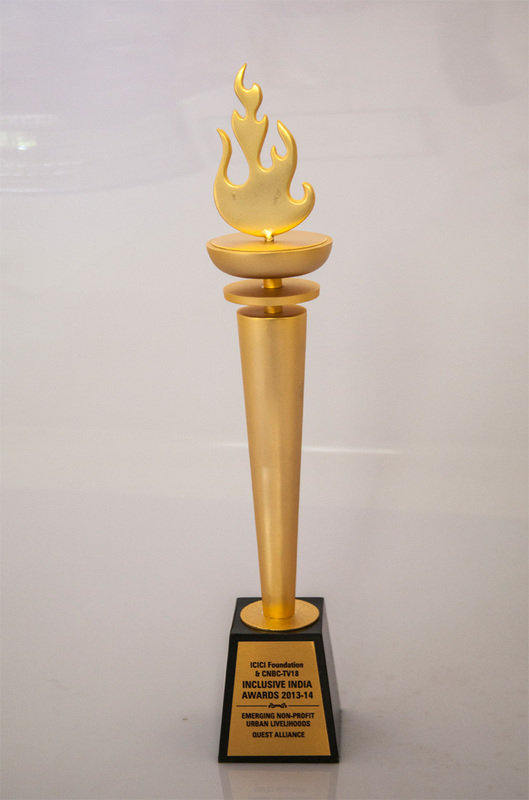 Quest Alliance was awarded the CNBC TV 18 and ICICI Foundation’s Inclusive India Award for ‘Emerging Non-Profit Urban Livelihoods'. 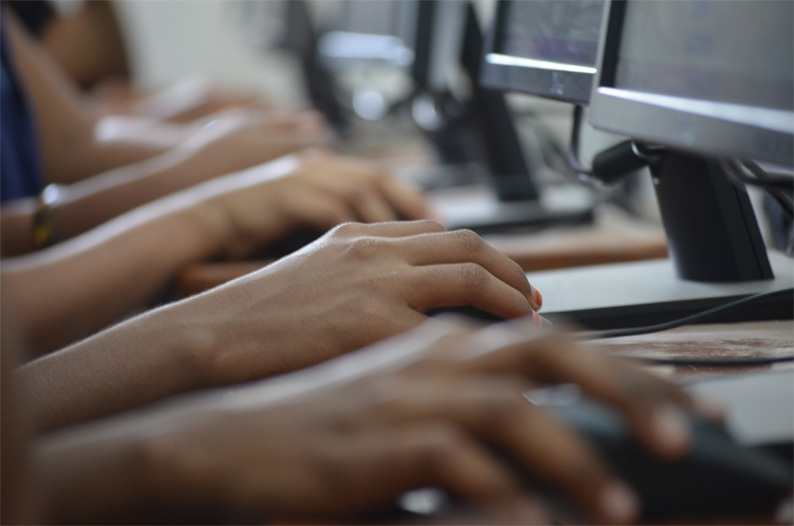 Delivering computer science skills in partnership with AMD and Microsoft. Our anthem is the result of a time of reflection at our annual retreat. Sung in English, Hindi, Gujarati, Kannada, Malayalam, Tamil and Telugu it captures the spirit of each one of us at Quest. Click here to listen to the Quest anthem! 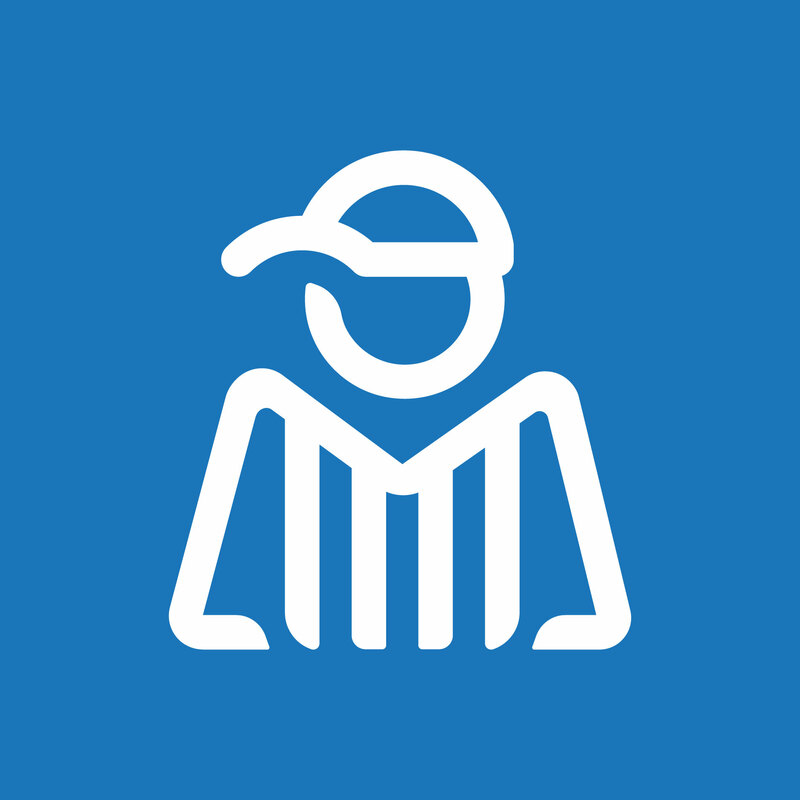 Quest launches MasterCoach: an in-service, blended learning, trainer-certification program. With Equip Youth, Quest Alliance pilots its Career Development approach in ITIs, giving the space a much needed boost. Each year, we take time out to reflect, organize and plan. 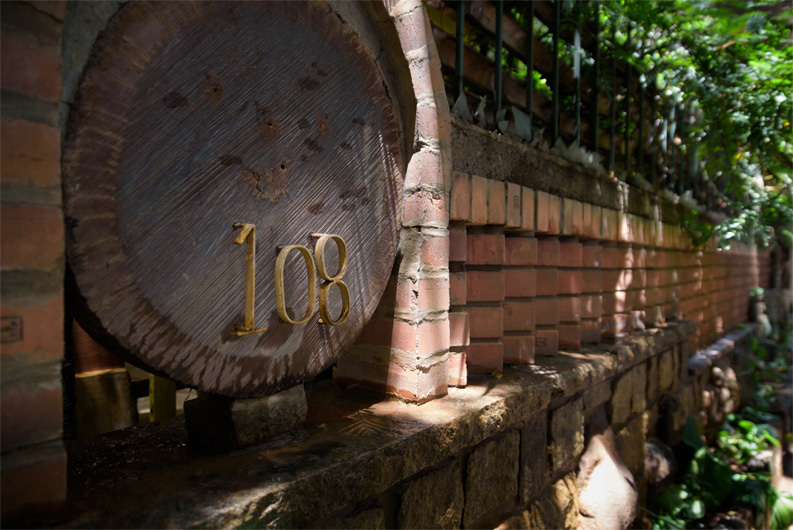 Our annual retreats have become spaces where we can plan and execute our individual and collective goals. Quest expands its operations in 5 states: Bihar, NCR, Delhi, Rajasthan and UP. 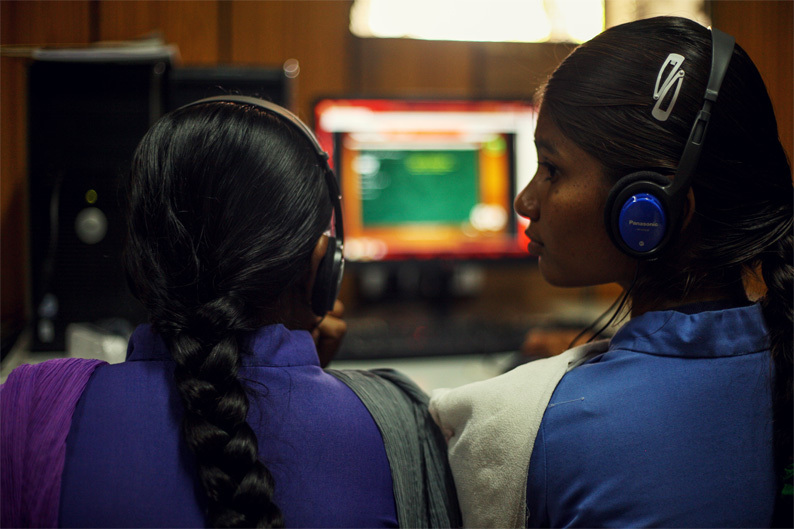 We partner with the Government through the Jan Shikshan Sansthan and SCERT in Delhi and Bihar to pilot Life Skills and Career Guidance for over 4,000 women and youth in secondary schools. Accenture launches Skills to Succeed, an e-learning for employability program in partnership with Quest Alliance. Quest organizes community building dialogues like the Symposium on Education & Technology in Schools and Community Media in Schools. 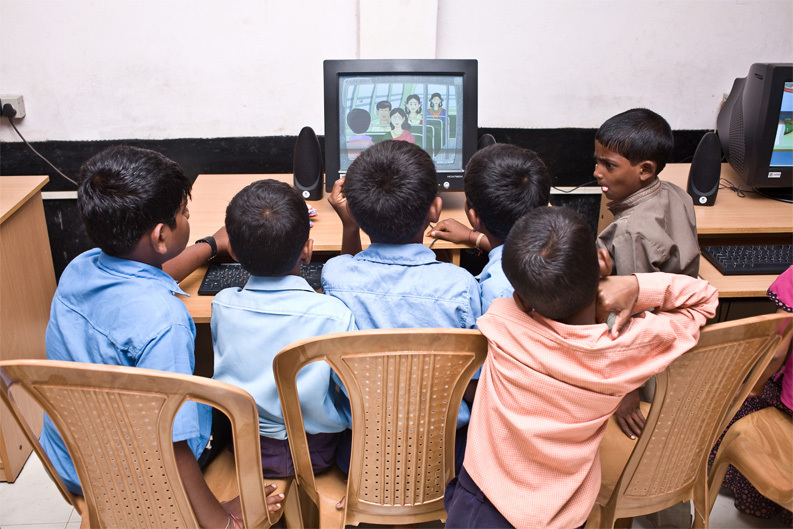 Quest evaluates Azim Premji Foundation’s Computer Aided Learning program. 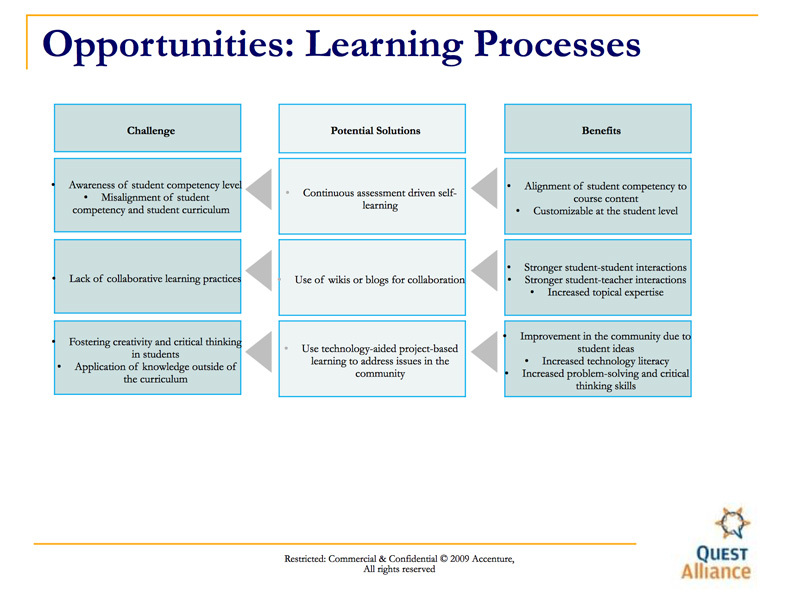 The Computer Aided Learning Evaluation Report provides an in-depth evaluation. Quest hosts National Instructional Design Workshop to advocate for better content standards in e-content publishing which was conducted at NIMHANS in partnership with APF and EDC. 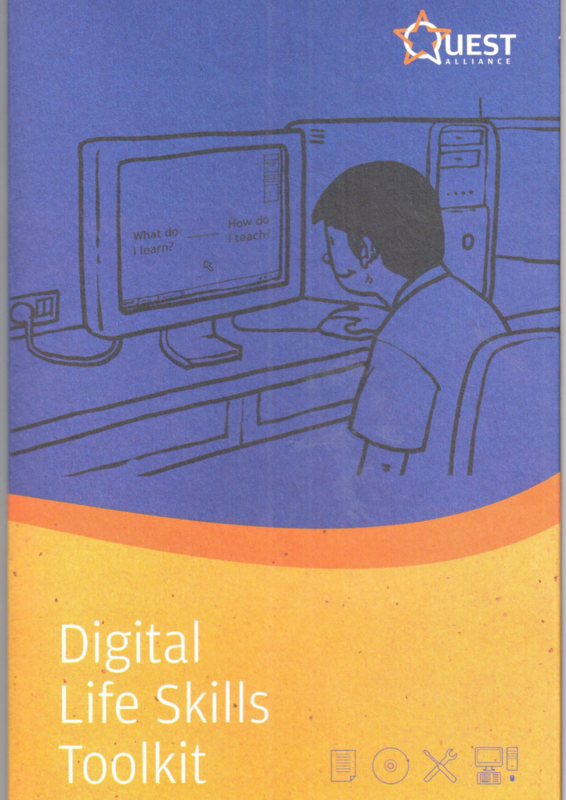 Quest publishes a comprehensive analysis of Education Technology in India, authored by Dr. Phalachandra and Osama Manzar. The Indian education sector discusses the need for dedicated research and innovation in education technology. USAID, Azim Premji Foundation, Pratham, CAP Foundation, Wipro and Microsoft are founding partners. 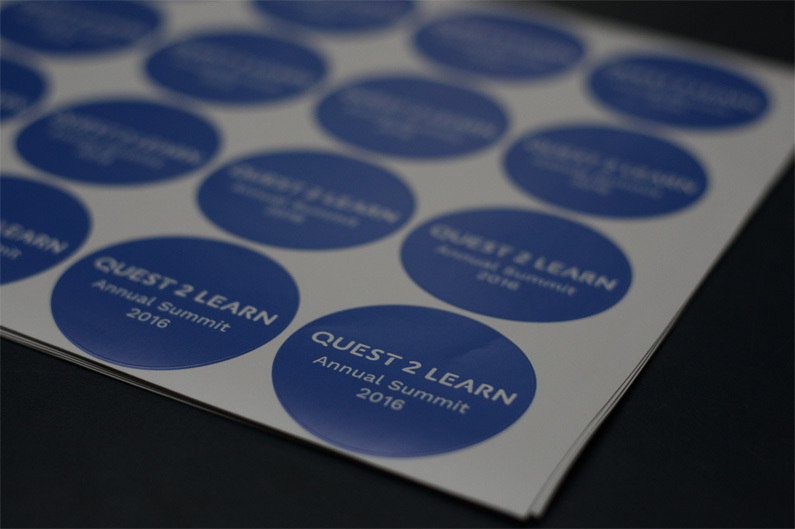 Quest brings together practitioners from across the world at the Quest2Learn Summit. 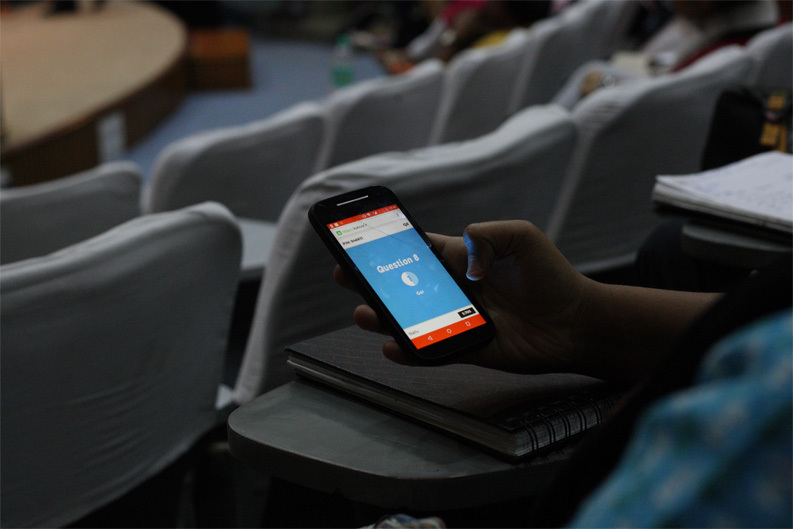 Quest Alliance initiates mobile research to enable lifelong learning and career development. 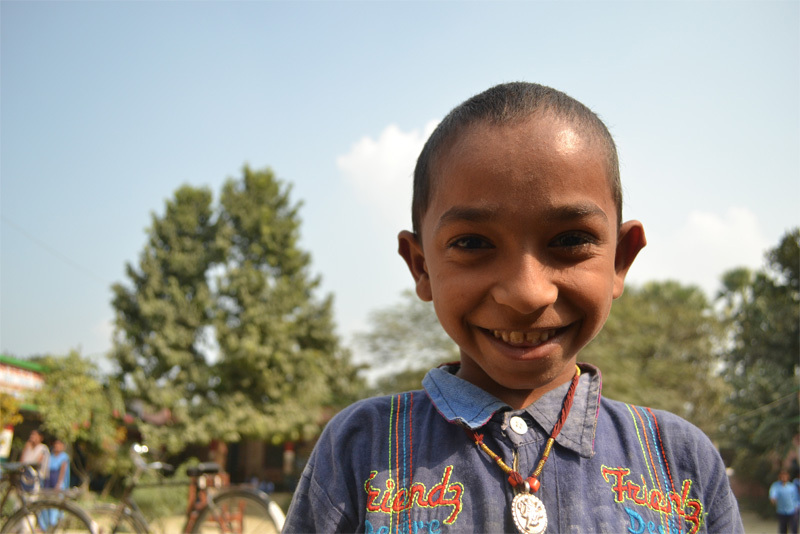 Quest launches the district-wide Anandshala model with Bihar Education Project Council, a program that will build a responsive education system for child engagement in schools. 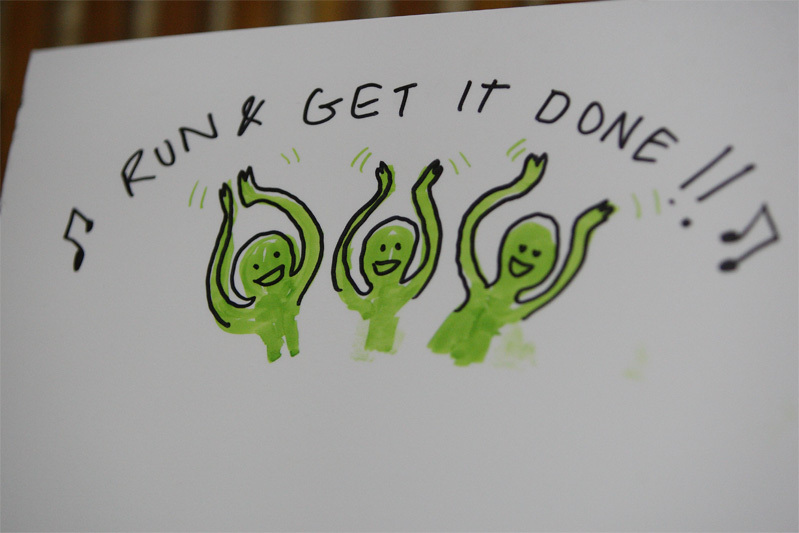 We hosted our first Quest Day in November 2014 to bring together our collaborators and live out the spirit of Quest. 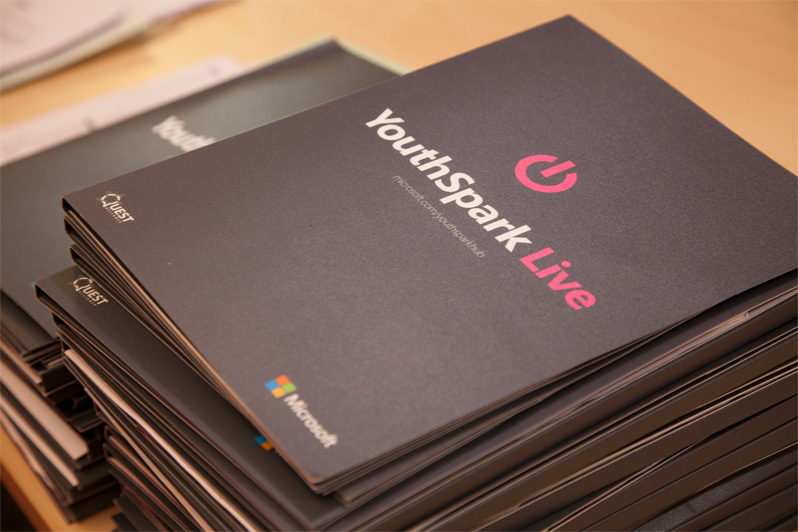 YouthSpark Live (Microsoft India’s global CSR program) partners with Quest to support aspiring entrepreneurs. 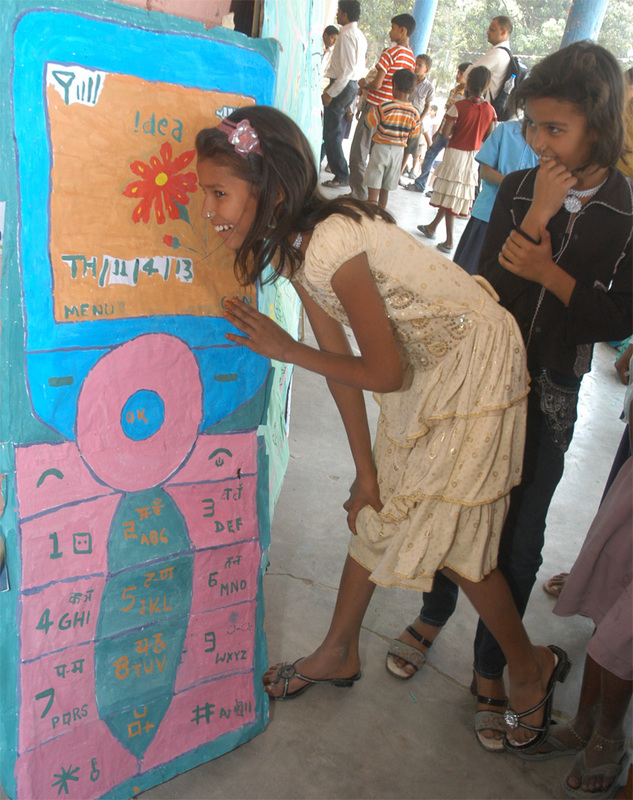 Quest initiates the School Dropout Prevention Pilot – Anandshala with USAID and Creative Associates. Quest publishes report on strategic CSR for technology companies to scale education and employability in collaboration with Accenture Development Partnerships. 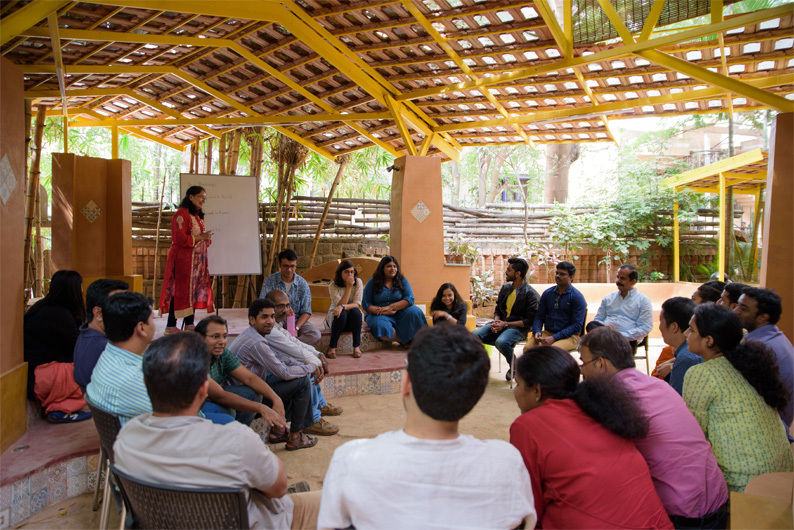 Through Livelihood Connect, we identify a blueprint for the skills ecosystem to thrive – a study, a workshop, a community and a workbook. Quest Alliance registers as a non-profit trust in India incubated by International Youth Foundation and moves to its own operations and office in Bengaluru, India. 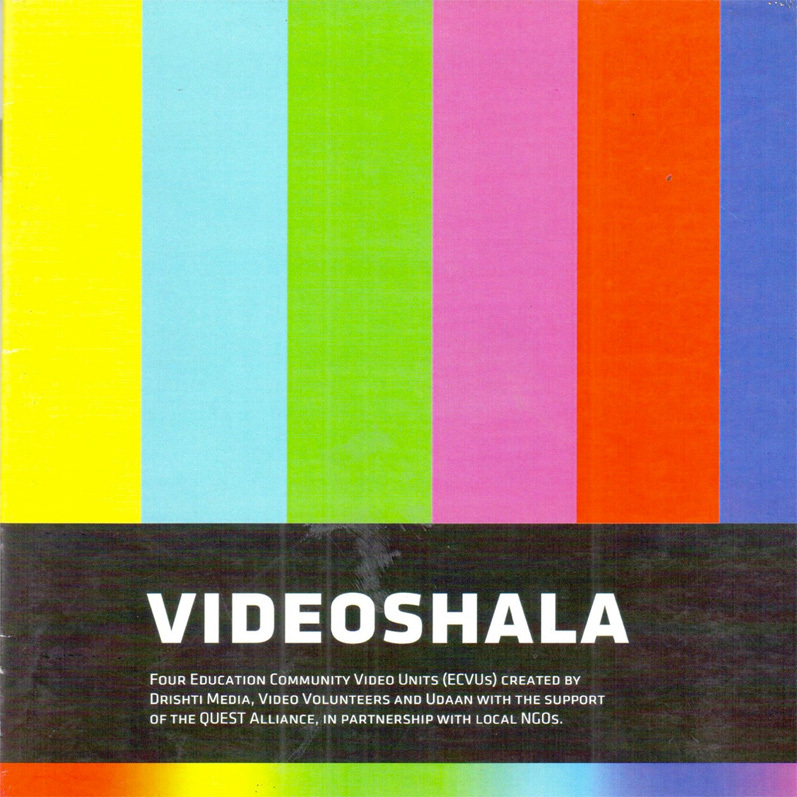 Quest develops two path-breaking innovations: Videoshala and Lifeline for Education. Quest initiates the Digital Life Skills Toolkit a self learning tool for entry level facilitators in partnership with Microsoft and CAP Foundation. 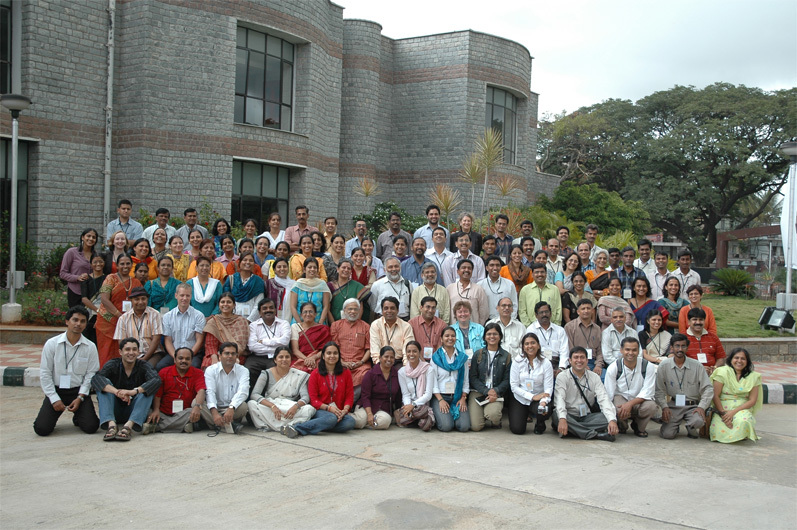 International Youth Foundation is the secretariat of Quest Alliance in India. The Quest secretariat is set up at Azim Premji Foundation (APF) to drive innovation and advocacy.